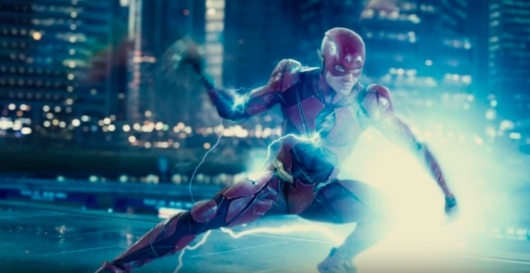 DC’s Flash movie, which is currently going by the title Flashpoint, has had a hard time getting into production. Mostly because the film has had a difficult time finding a director to stay from start to finish. However, it looks like WB’s troubles may be over, at least for the time being, as the film has found new directors in the Vacation reboot directors and Spider-Man: Homecoming writers John Francis Daley and Jonathan Goldstein. More on the story below. The truth is that while I liked Alien: Covenant, I didn’t love it. 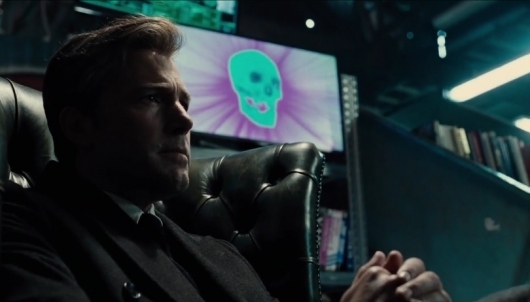 What’s tragic, aside for the future the prequel sets humanity up for, is that all it would have taken to make the film phenomenal was some small tweaks and changes. Alien: Covenant lacks the same emotional heights sci-fi fans associate with Ridley Scott’s film of 1979 or James Cameron’s 1986 sequel, though it’s not without merit. Chief among the complaints is that the new film seems to sit on the franchise’s laurels rather than push it forward in the way Casino Royale did for James Bond or Logan did for X-Men. It’s been 38 years since the original Alien thriller, but this movie lacks some of the lauded learnings and innovations of modern science fiction cinema. Now 20th Century Fox has released an official trailer for Alien: Covenant, which arrives in theaters in a little over two months from now. A new poster for the movie has also been released. Continue below to check out both now. 20th Century Fox has released a prologue to Ridley Scott‘s latest entry in the Alien franchise, titled Alien: Covenant. The prologue is called “Last Supper,” and it runs a little under five minutes in length. 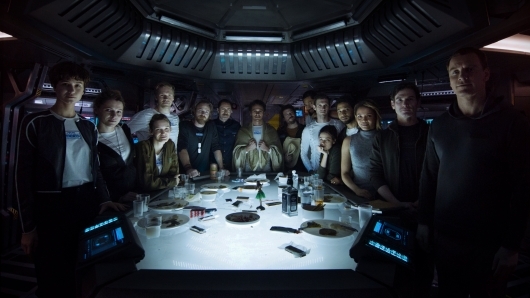 It follows the crew of the Covenant we saw in a recent image, including Michael Fassbender, Katherine Waterston, Danny McBride, Billy Crudup, and Demián Bichir, letting loose and enjoying their last meal together before going into cryosleep on their way to colonize a far away planet. Ridley Scott (Alien, Blade Runner) returns to the universe he created, with Alien: Covenant, a new chapter in his groundbreaking Alien franchise. The crew of the colony ship Covenant, bound for a remote planet on the far side of the galaxy, discovers what they think is an uncharted paradise, but is actually a dark, dangerous world. When they uncover a threat beyond their imagination, they must attempt a harrowing escape. Check out a new photo of the crew after the jump! Hopefully, all of you have been good little boys and girls, because 20th Century Fox has one last gift for you under the movie trailer tree. 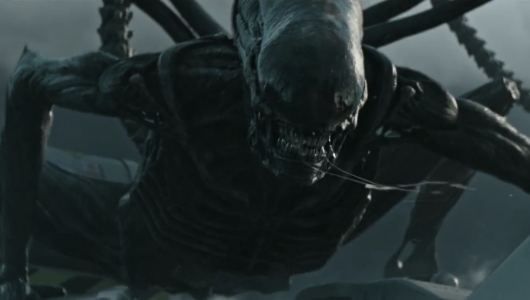 Today, the studio released the first trailer for Alien: Covenant. 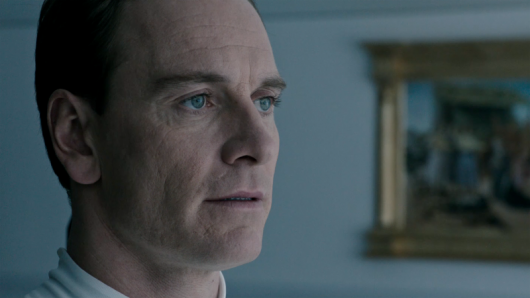 Directed by Ridley Scott, the film is the follow-up to Prometheus, and centers on a crew bound for a remote planet across the far side of the galaxy where they discover that paradise is actually a dangerous place inhabited by David (Michael Fassbender), the sole surviving synthetic android of the doomed spaceship Prometheus. Check out the red-band trailer here below. Contemporary biopics no longer adhere to the traditional means of telling the entire life story of a subject. Nowadays, audiences are only given a small fraction of it. But it is in that stage of life that truly defines the subject. In Jackie, we see Jacqueline Bouvier Kennedy at her most vulnerable point in life, where she has to deal with the grief of losing her husband, the 35th President of the United States, John F. Kennedy. The traumatic event would be enough to shatter anyone, but it is what she does in the aftermath that will truly cement her name among the greatest of First Ladies. 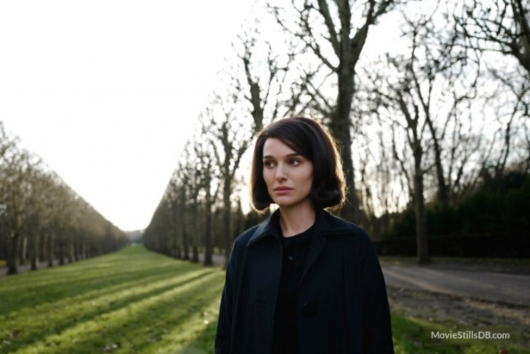 With a strong script from Noah Oppenheim and director Pablo Larrin giving an outsider’s perspective on the matter, Jackie is hauntingly poetic view of an untold story. My full review below. Today is Ridley Scott‘s 79th birthday. So happy birthday, Mr. Scott. The man who brought us Alien, Blade Runner, Gladiator, and The Martian, not to mention the many other films and TV shows he is a producer on. He is currently hard at work putting the finishing touches on Alien: Covenant. So to help celebrate this momentous occasion a new behind-the-scenes photo from the set of Scott’s upcoming film has been released. If you think a simple image being released on the Internet isn’t enough, well then you should be happy to know that the Directors Guild of America is giving the Academy Award-winning director a Lifetime Achievement Award for his work in film. Check out the image below.